Unfortunately the RGA is no longer in a position to be able to offer personalised, individual benefits advice. As a Charity we understand that this is a very important area to our members and so we have continued to subscribe to a professional service that can provide members of the RGA with a number of self-help guides. These self-help guides are written by benefit advice workers, barristers and benefit trainers. These professionals are completely independent of the Department for Work and Pensions, Local Authorities, ATOS and the government, and they provide accurate information and advice based on people with disabilities’ best interests. Under the terms and conditions of our subscription with this firm, we are able to provide a copies of the self-help guides to current RGA members free of charge. These guides are for our members’ personal use only and our agreement states that we will ensure that copies of the guides are not made available to others. If you would like access to the benefits guides that we have available, then we would ask that you download a copy of our standard Benefits Publications Agreement by clicking on the button below. The form should be signed, dated, and returned by post or email to the RGA Office. 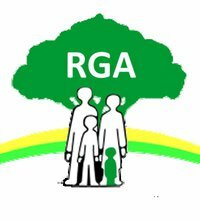 Once this agreement has been received, and if you have a current RGA membership, copies of the relevant guides for the benefit that you are interested in will be emailed to you. When returning your signed agreement to the office, please remember to day which benefit you are applying for. The RGA and our President, Dr Michael Wright, have produced a standard letter describing the medical difficulties experienced by people with dwarfism. You may find it helpful to include additional information of this sort when submitting your benefits application. The letter can be downloaded by clicking on the button below. Not sure what benefits you are entitled to? The website Turn2us has a benefits search that is free and easy to use, so that you can check what benefits you might be entitled to. This website and service is not an RGA service and is provided by the Elizabeth Finn Care Charity. Other charities may provide similar services.